We have a great line up of motivational guest speakers, including Jason Black, who only recently returned from his epic climb of K2 and local girl, Grainne Gallanagh Grainne Gallanagh recently crowned as Ms Universe, Ireland. There will be a host of local and national training course providers, apprenticeships services, colleges, and universities in attendance on the day to help you explore your next step. 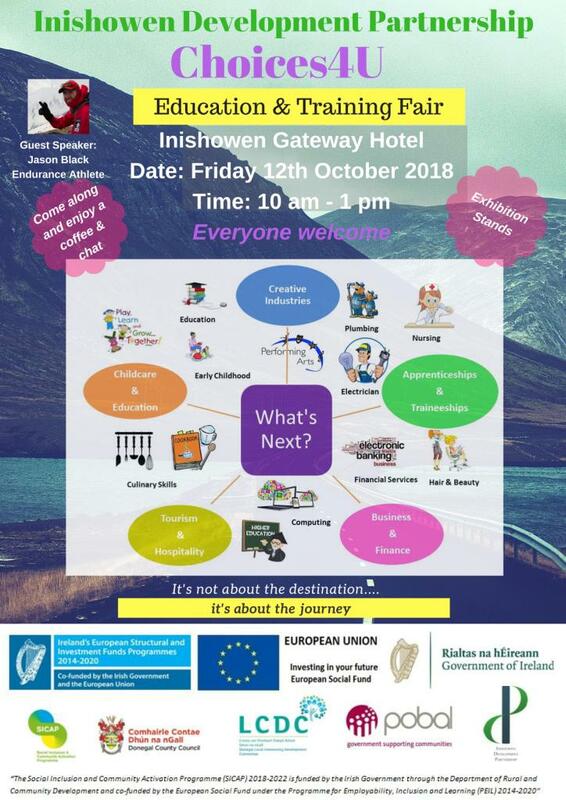 We will also have Lorraine Murray Donegal, Senior Training Advisor, Donegal ETB, giving tips and advice on apprenticeships & traineeships as part of our panel and Oran Doherty from North West Skills Forum with all the latest from Employers and their opportunities. If you are considering retraining, up-skilling, part-time, full-time or maybe a short course to get through the winter evenings, then this is the event for you! We will have something there for everyone. More details to follow but for now, keep Friday 12th October (10am – 1pm) in your diary.